Domestication is defined as the process in which the customers try to make a place for technology in their houses and gradually make efforts to ensure that it becomes an integral part of their daily lives. Hence in other words, domestication is the method of getting control of technology in a domestic environment. The technology desires to be organized to come across the wants and desires of those who are looking for naval technology. These people are usually household members, who subsequently will fit the new technology into their daily routine in order to retain the stability and protection of the house at the same time as interacting with their new media technology (Berker et al, 2005). In the process of domestication, it is important to understand the customer’s side and hence for this it is important to understand that how media and technology is domesticated in various social settings. It is seen that in most of the cases the process of domestication differ in case of the home and workplace. Social setting plays a significant role in the domestication of the media and technology. In this essay there will a detailed discussion on domestication and domestication of media. In the last there will be a conclusion in which the highlights of the essay will summarized. Domestication is the process which helps the customers to get use of the media and the technology. It is based on the process taming the technologies so that it can be accepted by the people in different settings. For media and technology to be successful, the most important factor is that it should be accepted by the people in their daily routine. This is only possible with the domestication of the media. In order to understand the process of domestication, it is very important to understand the relationship between the subject and the object i.e. the relationship between the consumer and the media object which can be anything either an internet or a television (Haddon, 2006). Now in this whole process there is a third party which is involved known as home. It is very important to consider the relationship among the third party and the subject and object while the process of domestication. The ways in which people used to relate with the media and the technology is different and depends on the type of social setting. Home or the household is one kind of setting where domestication of media and technology takes place. History of the domestication tells that it got started to understand the importance and role of information and technology in the daily routines of the people. In order to understand it, there are number of conventions and views that are being brought to the relationship between the customers and the information and technology. The concept of domestication started in order to understand the integration of technologies like mobile phones and internet into the daily routine lives of the people. Today the framework of the society is in the way that all the media and technologies are getting incorporated in the household (Hartmann, 2005). There are some of the important terms which are being related and associated with the domestication like family, the moral values of the house and the code of conduct. A house has got a completely different point of view and values when compared to any other social settings. A home has got completely different perspective and values in comparison to the public settings, but the fact cannot be ignored that a public sphere is formed with number of different home settings. This is the reason why the technologies which are manageable by the household members are produced and then linked with the public range. Many a times happen that, in order to ensure the easy and proper use of the technology, it has to go various changes and modifications (Livingstone, 2007). In other words, the media and technology has to undergo transformation in order to ensure that it is accepted and fits in the settings of the household. The process of transformation makes the product suitable for the domestic values, which means the technology is domesticated as per the requirement. With the help of this transformation process, the product is assimilated and redefined in accord with the values and the terms of the household. The first stage is of Appropriation which is the process when any technology is credited as a product and hence it leaves the objective sense of economy in the society and gets an entry in the world of economy of morals and values of household. Now the technology is owned by the members of the house. The next phase of domestication process is objectification. Objectification is the phase which decides that how the media and technology must be placed in the daily routine of the house (Morley, 2006). It needs to establish a space for itself in the arrangements of the house. Initially it takes some time in order to get set in the new settings and arrangements. The third phase incorporation helps the technology to get incorporated in the daily routine of the household. This is the most important phase; a proper integration of the technology within the setup of the household is the key to the success of domestication process. For media and technology, it is a point to prove itself; it is the time to struggle to maintain their identity in the house. Conversion can be taken as the opposite of appropriation; this means that the household alters the practical and symbolic use of the technology. The use of technology is converted into a production of meaning which means that the economy of morals and values of household are again converted back into objective sense of economy (Pantzar, 1997). Form the above discussions it is clear that the domestication takes into consideration both the meaning and the materiality. These both the factors are equally important in order to ensure the taming of the technology in the daily routine of the household. This means that in the process of domestication both the everyday as well as the representative aspects are taken into consideration. In most of the cases it is seen that the study of the domestication process is done with the help of qualitative methods. The process includes many numbers of interviews, with the help of which different aspects of technologies are known and analyzed. 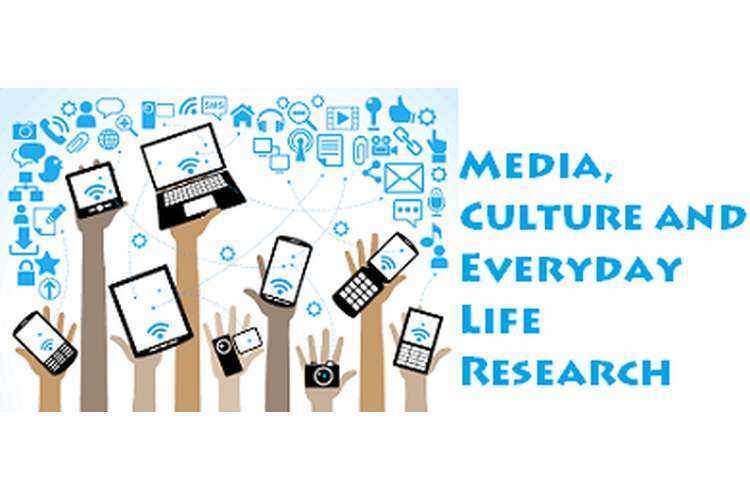 There are some scholars who on one hand believed that the media technology has got a role in bringing the public life into domestic domain due to there is a risk to the moral boundaries of the family (Silverstone, 2005). This is the reason why some times the media and technology is considered as the risky thing. On the other hand there are scholars who believe that media technology has got a very important role in promoting sociality among the members of the family. For example with the help of internet, the members are more social now and are connected to many of the other members of the society and hence the technology helps the whole society to become a one family. These members are connected with each other with the help of internet which is one of the most famous inventions in the field of technology. It is been used in every house today (Sørensen, 2006). There is a negative side of domestication also, the technology has reached out to each and every house in the society and due to this there is no control on the access of the information that are available on the internet or that are shown on television. It becomes very risky when there are children in house, one need to keep a control on the kind of information that are being accessed by the children. Due to domestication theory almost every household has got some technology in their daily routine. In the market both the kinds of customers are present, some who are relay in favor of the domestication process whereas some are there who do not like the concept of domestication of technology at all. The other most significant requirement of the domestication process is the technical competency of the family members. Even if one of the family members is competent as per the requirement, it will be easy to tame the technology. If the family member is a technical person, then it will be easy for all others also to get use to of the media and technology that has been installed in the house (Stewart, 2007). For example, if a television is bought and installed in the house, there are numbers of functionalities in the televisions today, a technical person can easily understand all of them and can also tell his family members. When there is free time, the technical knowledge can also be transferred so that every member of the family can easily make use of the technology and the media available in the house. There was a time when the dogs used to be the favorite pet for people, now the time has come when the favorite pet are mobile phones. It will not be wrong to say that mobile phones have taken a very special place in the lives of the people. Today no one will able to remember that when they have got their first mobile phones this is because the use of mobile phone have become so incorporated in the life of people that they cannot imagine their lives without it. Mobile phones are now like the life of people, they cannot survive without, the reason behind this kind of behavior is that in order to tame the technology, there are so many advancements done in it (Vuojärvi et al, 2010). Initial mobile phones were like normal phones which are used only for talking but now the time has come when the mobile phones have replaced much other technical equipment like watches, calculators, internet, mp3 player, camera, address book and many more. In order to tame the technology there are many advancements done in it. Media and technology is growing at a very fast pace in the lives of people. The example of television can describe it very well, initially the televisions got its place in the living room or the common area, but as with the process of domestication and taming the media and technology, television got a place at the intimate location like bedrooms of the customers. Now everyone has accepted it as an integral part of one’s life, one cannot imagine their life without mobile phones or the television (Stewart, 2007). Even in the ancient world, there were technologies developed in order to facilitate the work of human beings. There was a time when bow and arrow, spades etc. were made so that it can help out the warriors at the time of war. With the technical advancement there are more advanced techniques that are being used by members to make their lives easy and comfortable. It is in human nature that they adapt the things easily in order to give comfort to themselves. When the new technologies come no one remembers about the older one (Sørensen, 2006). The changes and the advancements are adapted and integrated in the system at a very fast pace. There is one set of scientists who argue that, domestication of the technology is not possible and hence it is not the technology that gets domesticated instead the customers are domesticated according to the developments made in the technology. They believe in the theory because according to them technology is created by human beings and hence it will always remain inferior to human minds. People let these technologies to rule their life because they want the things in that manner. As mentioned earlier in order to make their lives comfortable and easy customers adapt the advancements and the developments that take place in the technology. It all depends on the human mind that how much they allow the technology to get into their lives. There are two set of customers, first set of people are ready to adapt any changes and advancements in the technology in order to get the comfort. The other set is not ready to be ruled by the technology and they believe that since they are the thinkers, they must rule over the technology (Berker et al, 2005). Domestication of the technology means to integrate the media and the technology into the daily lives of the people. At every step there are advancements and changes done in the technology so as to make it more acceptable by the customers. The scientists are continuously working with a mission to make the technology user friendly. They want to ensure that people do not consider technology as dangerous and accept it in their daily lives. Domestication has four aspects which are appropriation, Objectification, Incorporation and Conversion. Incorporation is the most significant aspect as it allows the integration of technology into the lives of the people. There are two sides of any coin, same is the case of domestication concept, and there are many people who do not believe in this theory (Berker et al, 2005). According to them it makes sense to be governed by something which itself is developed by the thought process of human beings. They want to master the technology and do not believe in becoming the slaves of it. Domestication of media and technology will definitely be proved in favor of customers until and unless they know the limits and the way to use it. Adaptation is very important to survive and hence it is important to get adapted to the technical changes that are happening but still one should know its boundary. Livingstone, S. (2007). On the material and the symbolic: Silverstone's double articulation of research traditions in new media studies. New media & society,9(1), 16-24.